This Home Boast an Amazing Stamped Concrete Patio in Backyard Which Backs up to Woods that's a Must See! 4 BR / 2.5 BA Spacious Home with Large Vaulted Ceilings in Rooms. Back On Market, DUE To Financing Issues. It Features an Open Floor Plan, 9' Ceilings, Siding & house wrap and gutters 2 years old. 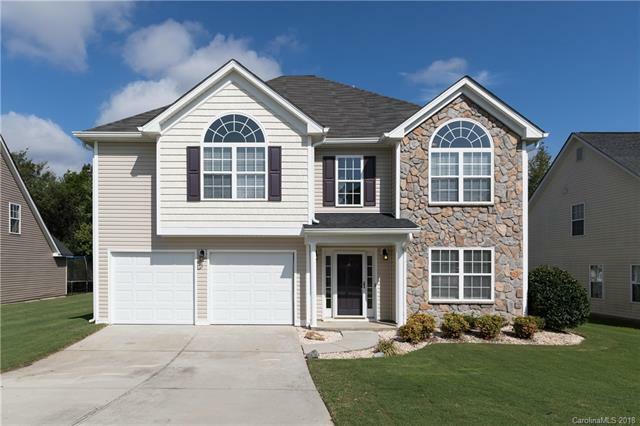 Plenty of Storage Space, Bermuda Grass Front & Back, and So Much More! Entertain Guests on the Private Back Patio. Upgrades Include: Fresh Paint Throughout, $450 Home Warranty Provided, Bermuda Turf Lawn/Terminex Transferable Pest Treatment $20/mth. Only Minutes from Lake Wylie Access and other Shopping/Dining Options.